October 29, 2015 October 29, 2015 / Steve M.
Another major player in the 1930’s flagellation market, along with Orties Blanches, were Les Editions Couvre-Feu, followed by Le Jardin d’Eros, distinctly different in that the contents and illustrations were more twisted and aimed at torture and humiliation, unlike the titles issued by Editions Prima, which always seem to have smiling faces , no matter what act of depravity is taking place, the characters in these editions seem to be taking it a bit more seriously. A rare fragile and altogether beautiful item, in original covers with exquisite illustrations by Wighead. I have done my best with the photographs, and my apologies for any deficiencies, it was impossible to scan the book, because the stress would have broken it. 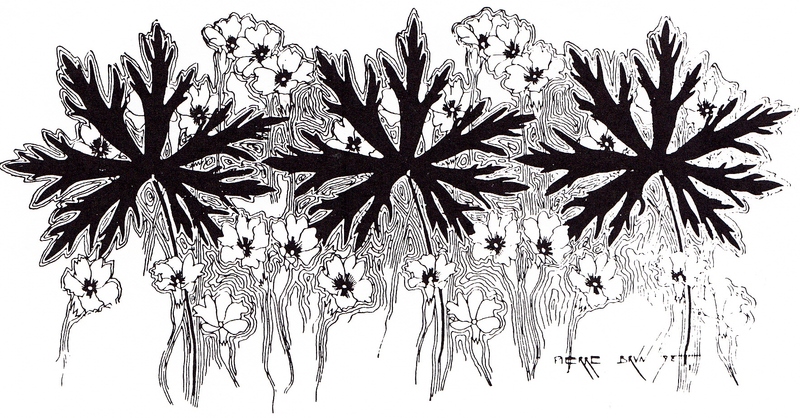 J.Van Styk. 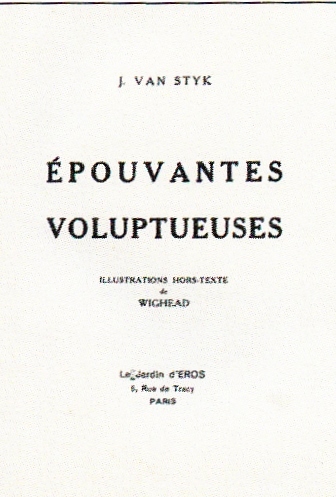 :Épouvantes Voluptueuses. Le Jardin d’Eros. 6 Rue de Tracy, Paris, s.d. In Original paper wraps with cover illustration in colour by Wighead, frontispiece and 8 illustrations hors-texte in black by Wighead on papier couche. 191 p.p. Printed by . Imprimerie nouvelle 121, rue de Monument,Champigny -sur-Marne.